Our chapter committees, board of directors, corporate partners and staff have worked hark to provide an unparalleled benefits package for our members. Whether you’re looking for the inspiration to energize you, the resources to help you stay on top of your game or the opportunities to grow and excel, NAWBO Columbus hopes that we can be a partner in your company’s success. Broaden your circle of influence by gaining access to some of Central Ohio’s most successful women business owners. Give back to the community through outreach and volunteer programs. Become a mentor and share your story with other business owners. Be a part of 50 chapters and over 5,000 members across the country. Access to both national and local member directories, searchable by company name, member name, industry, and more. Learn from successful entrepreneurs and subject-matter experts through exceptional programming and events. High-level programming at the annual NAWBO Women’s Business Conference. Have your voice heard at the local, state, and federal levels through public policy activities and advocacy. Access to our exclusive online member community featuring resources, news, and members only events. Find knowledgeable speakers for your upcoming event from the NAWBO Columbus Speakers Bureau. – Martha Cahall, Vista Industrial Packaging, Inc. 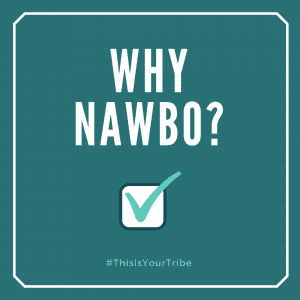 Discounted (and free) registration rates at NAWBO Columbus events including the Visionary Awards Gala and members only gatherings. Network with members, corporate partners, and guests at events like Member Mix and Mingle and Women, Wisdom, and Wine. Get in front of members and corporate partners and demonstrate your knowledge base by hosting a Candid Conversation. Promote your business and share your individual story by completing your online member profile. Gain exposure for yourself as a public speaker through the NAWBO Columbus speakers bureau. Access procurement opportunities from city, state, and federal agencies and our corporate partners. Develop leadership skills through involvement on chapter committees. Promote diversity in our membership base and the local business community. Get involved in economic and community development initiatives. Post accomplishments and major news items about your company on the NAWBO Member Marketplace. Access to discounted rates exclusive to NAWBO members on a National level from Sage Payment Solutions, TurboTax, Guardian Insurance, Wells Fargo, PR Newswire, UPS, and more. Access to discounted rates exclusive to NAWBO Columbus members through our affinity programs with Elavon Merchant Processing Services and Mutual of Omaha.